An open letter from David Simon. The militarization of US Police. And a must see: John Oliver on Ferguson. Mike Miley is going through David Foster Wallace’s archive, reading all the notes Wallace wrote in books. Grant Morrison’s Multiversity debuts tomorrow! I’ve been chomping at the bit for this one. 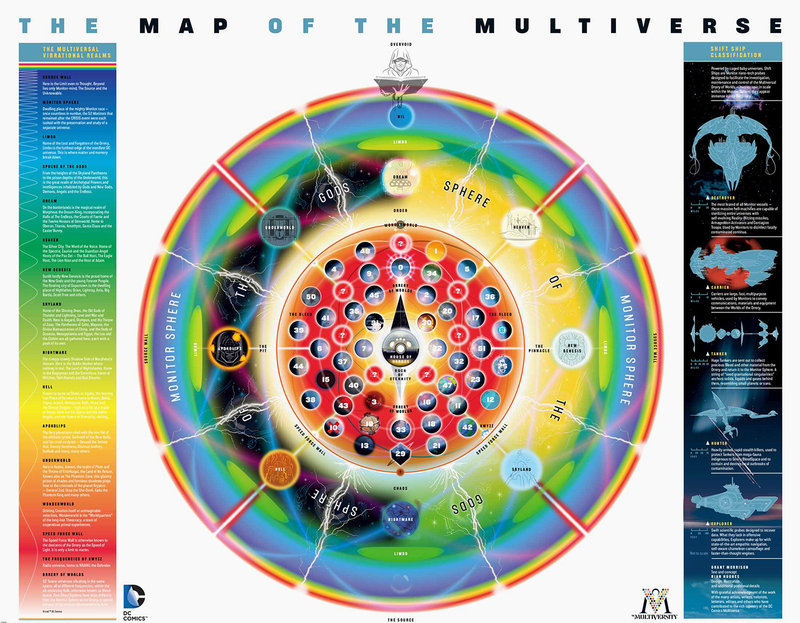 And the “map” of the multiverse is gorgeous. Daniel Coluccielo Barber reviews Lessons in Secular Criticism by Stathis Gourgouris at the LARB. And Gabino Iglesias has an interview with my friend David James Keaton. An open letter from untenured faculty to Chancellor Wise of UIUC. William Deresiewicz, “Spirit Guides,” on the things that teachers can provide that parents can’t.